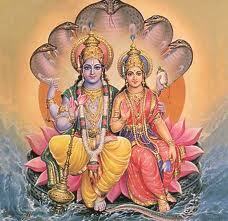 Apara Ekadashi is Coming on 4 June 2013. Apara Ekadasi is observed during the Krishna Paksha (second fortnight) of the month Vaisakha masam. 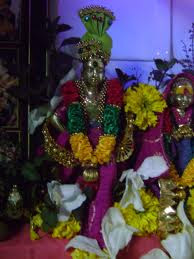 Apara Ekadasi is also called as Vaishak Vadi Ekadashi or Achala Ekadashi.Apara Ekadashi is also called as Achala Ekadashi. Significance of Apara Ekadashi is mentioned in Brahmanda Purana. According to scriptures, Lord Srikrishna explained Yudhishtira about this Ekadashi. Devotees observe vrat on this day. Fasting on this day is highly beneficial for those, who are suffering from guilt of their sins. Also by observing Apara Ekadashi vrat one can attain Moksha (Ultimate salvation). Apara Ekadashi mahatmyam was explained in the Brahmanda Purana. Observance of Apara Ekadashi fasting cleanses all sins of the performer and makes him/her free from all the bonds in the life. 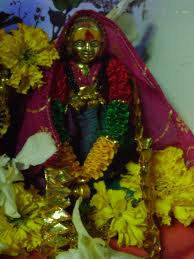 It is believed that the performers of Apara Ekadashi will get the merits which are equal to – performing three times ritual bath in Pushkar Kshetra in Kartika masam, performing ritual bath in Prayag at in the month of Magha masam at Mesha Sankraman (when Sun transits to Capricorn), worshipping Lord Shiva in Varanasi, offering tharpan to forefathers at Gaya, performing ritual bath in the sacred Gautami river at the time of Simha Sankraman (when Sun transits to Leo) and etc. Observing this Ekadasi removes the remorse associated with not performing a particular action, when the person had the opportunity to do it but shied away. The procedure of Apara Ekadashi is different from other Ekadashi fasts. The time span of this fast is more then 24 hours. The fast is started from Dashmi Tithi (a day before Ekadashi). From this day itself, person need to control his thoughts and food. At night, he should sleep on floor and have positive thoughts. And, the person should follow Brahmacharya in his married life. Person observing this fast should wake up early in the morning of Ekadashi. After completing the routine works like bathing etc., the resolution of fast is taken. 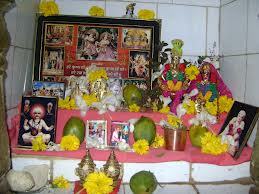 And, Lord Vishnu is worshipped. After fasting the whole day, Lord Vishnu is offered fruits and worshipped with incense sticks, lamps, flowers, in the evening. In the night of Ekadashi, Jagran is done and Vishnu Path is read. Once upon a time, there lived a religious king named Mahidhvaj. His younger brother, Bhrajdhvaj, was a cruel, sinner and unjust person. He used to hate Mahidhvaj. One night he killed his elder brother. And he buried the dead body beneath a Pipal tree. Now he started showing violence to the Pipal tree. Accidentally, one day, a Rishi named Dhumya passed from there. Then, Rishi advised him to observe the fast of Apara Ekadashi and get free from all his sins, in order to live a peaceful life.